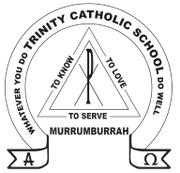 Trinity is a Catholic school, catering for students from Kindergarten to Year 6 in the Harden-Murrumburrah Shire. Our school has a current enrolment of 76 students. Trinity develops the academic, creative, social, and spiritual dimensions of each student. We strive to enable all students to achieve a high standard of learning and individual achievement by differentiating the curriculum to meet the various learning needs of all our students. A Trinity student is a resilient, considerate and connected young person who makes positive contributions to their own local and global community through their interactions with each other, the environment and actions of social justice. The classrooms are vibrant with innovate learning areas that foster a love for learning. The modern facilities are inviting and reflect the pride the community have for the school. The students at Trinity love learning in a collaborative flexible environment. We offer a wide range of programs to stimulate and challenge the students, including STEM, Enrichment, learning support, sporting opportunities, public speaking and Music tuition. Trinity has a BYOD IPad program for students in Years 3-6 which is supplemented with additional IPads for Infants. Trinity is a KidsMatter school with a strong sense of belonging and wellbeing. The parents are always welcome at the school and are a welcome presence in many of the classrooms. If you would like to know more about Trinity Catholic School, please contact us via phone (02 6386 2111) or email (office.murx@cg.catholic.edu.au).